Twenty years of Bandhu Social Welfare Society(Bandhu) would not have been a reality with the community being fulcrum around which the organization revolved and charted its trajectory. Being led by the community for which it works has been the unique proposition of Bandhu. The credit therefore goes to every single member of the sexual minority population who have been directly or indirectly engaged with Bandhu’s work. Without them we would not have been where we are today. Proactive leadership by the Executive Committee of Bandhu, the spirit of volunteerism and demonstrated by them over the years, the highest levels of unflinching commitment from the staff and volunteers have ensured that organization remained responsive to the evolving needs of the community over the last two decades. And none of these would have been a reality without the trust and confidence that our national and international development partners demonstrated by continuing to fund our work and believe in our vision and ability to steer the organization towards the stated vision and mission. This publication is an attempt to document the trajectory, the contribution that Bandhu made in the evolution of the response to health and human rights needs of sexual minorities in Bangladesh and the impact it has had on the lives of the communities. Bandhu Social Welfare Society (Bandhu) began in 1996with informal community group meetings and with a missionary zeal to transform the lived experience of sexual minorities in Bangladesh. This was a major landmark in the history of sexual minorities movement in the country. Registered in1997, over the last twenty years Bandhu’s efforts have brought about some significant changes in the lives of the sexual minorities, via-a-vis their access to HIV and sexual and reproductive health services and protection of their human rights including access to justice.This change in captured in three parts: Impact of Bandhu’s Work on the policy environment,scale of Bandhu’s achievements and the scale of organizational strengthening that has made this change happen, request to read details at this link A Tale of Two Decades. Bandhu Social Welfare Society celebrated its 20th year of its journey towards the development of health and health rights of gender diverse population on 23 April 2017 with illustrious presence of luminaries, development partners, government officials, well-wishers and beneficiaries. 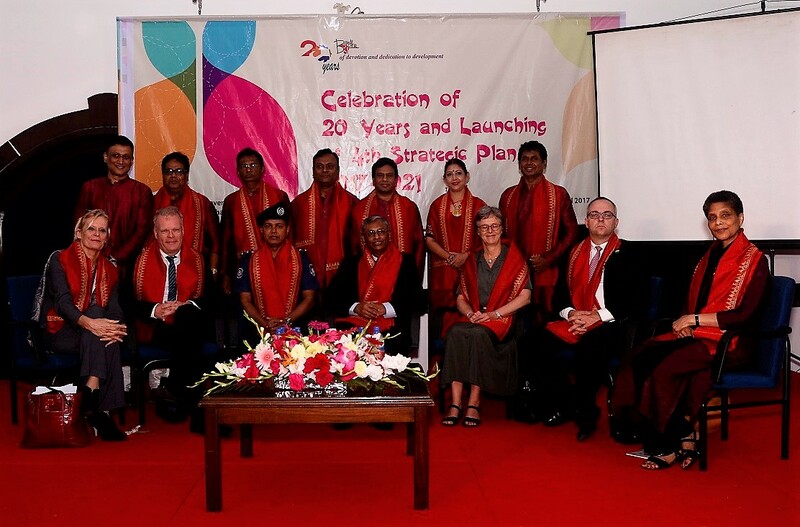 On this day, Bandhu also launched its organizational 4th Strategic Plan 2017-2021 which is designed to ensure that its program interventions on health and health rifgts can add significant value to national response on health for achieving Sustainable Development Goals (SDGs) particularly 1,3,5,16 and 17. The event started with National Anthem. After ceremoniously welcoming the distinguished guests, Mr. Shale Ahmed, ED of organization, briefed the milestones achieved in last 20 years and their impacts. The cover unveiling of the impact paper was orchestrated by Addl. DIG of Police Mr. Habibur Rahman. towards the betterment of its targeted population throughout this 20 years. 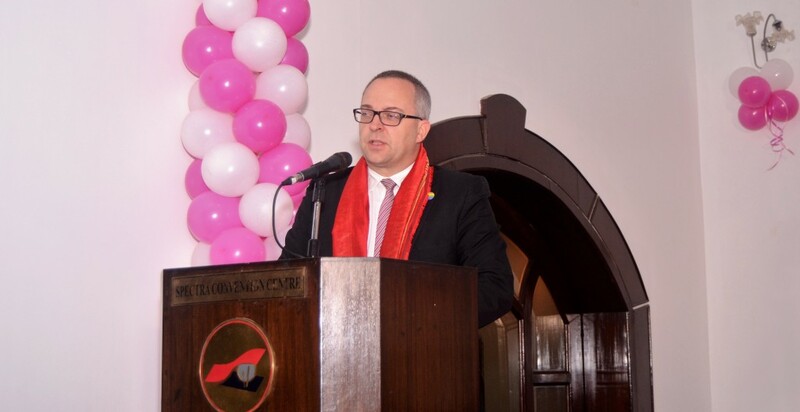 The A/V promo “Dutee” provided the audience with a notion on Bandhu after its formal launching by the Ambassador of Norway Ms. Sidsel Bleken and Ambassador Sweden Mr. Johan Frisell. The salient features of Bandhu’s 4th Strategic Plan 2017-2021 was shared by Mr. Rajesh Jha, after it was grandly launched by Ambassador of Netherlands Ms. Leoni Margaretha Cuelenaere and Ambassador of Denmark Mr. Mikael Hemniti Winther. 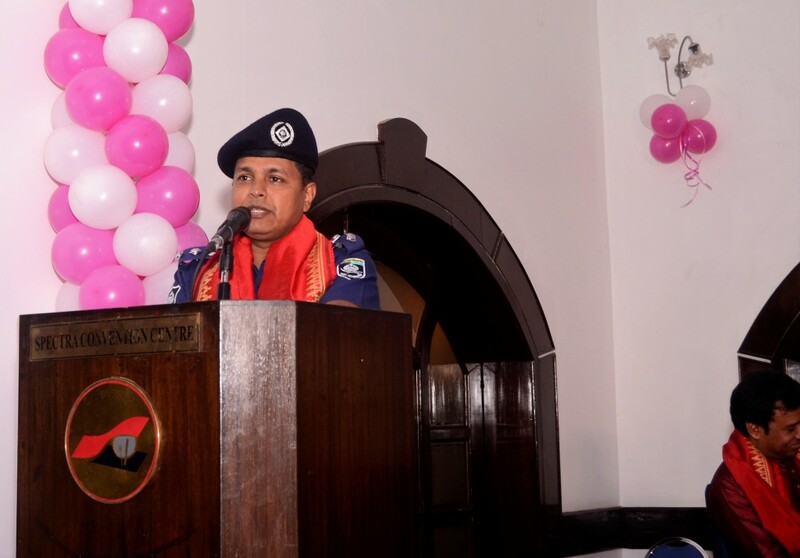 Mr. Kazi Reazul Hoque, Chairman of the National Human Rights Commission of Bangladesh addressed the audience as Chief Guest and also provided strategic guidance to Bandhu to efficiently implement its 4th Strategic Plan. Request to read details at this link E_Bulletin_FA_20 Years_2017.